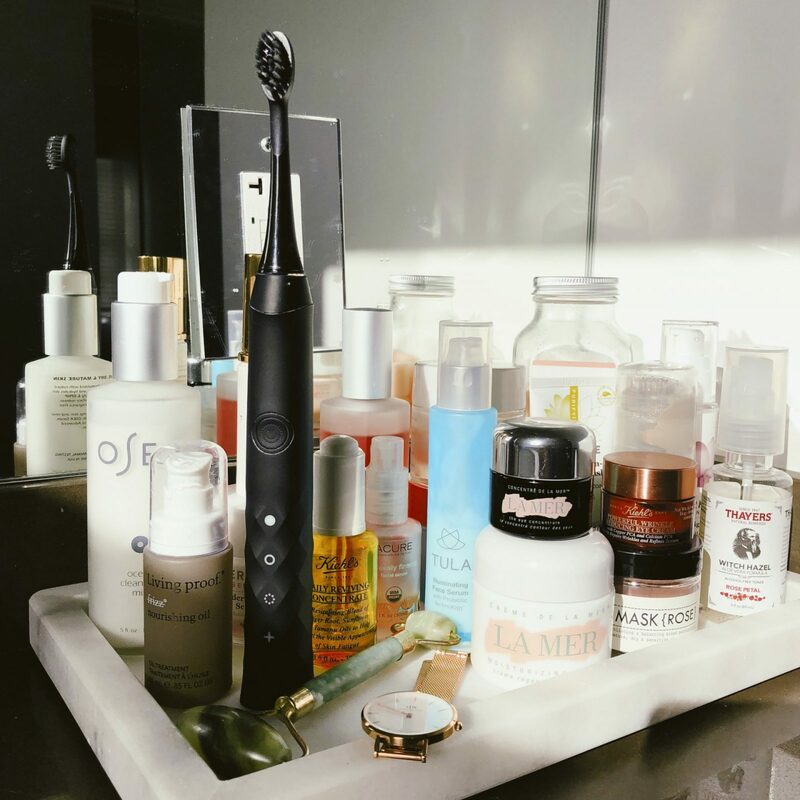 Distinctive charcoal coated bristles on a sonic toothbrush? Yep, say hello to BURST. I was first drawn to the sleek all black design and then so surprised by its affordable price — only $39.99 if you purchase it through a dentist or $69.99 on BURST’s site. But let’s backup for a second to the whole charcoal coated bristles bit. The charcoal is sourced from Wakayama, Japan and by adding it to the bristles BURST is able to collect and absorb bacteria, plaque, and all sorts of other little nasties that are living on your teeth. Pretty fancy, huh? As a former over-brusher I was a bit concerned that this toothbrush may be too strong for me. It has 33k sonic vibrations per minute! However, there are three modes (whitening, sensitive, and massage) and I always toggle between sensitive and massage to ensure that I’m not overdoing it. I also enjoy the quad pacer – basically a fancy term for the fact that it pauses every thirty seconds to let you know it is time to move on to the next quadrant of your mouth. Last but not least – the charging. I was really concerned that I would never be able to use this toothbrush as intended (vibrating), because I am the worst at charging things. My phone lives in the red zone, my computer constantly dies on me, etc. If it needs to be plugged it is probably going to die on my watch. The BURST has shocked me in this department. It says one charge lasts four weeks, and they aren’t lying. It’s amazing.